We were halfway to the spa when something stopped us. We’d been padding along in slippers and pastel-coloured towelling robes, staring idly at the snowy mountains outside. And then we heard it. The sound of a violin: a few snatched phrases, soaring, uplifting, broken up by short periods of silence. Somebody with considerable skill was practising. In the hotel. Later that morning, having enjoyed a soaking in the largest hammam this side of Istanbul, we wandered past the main staircase in our hotel’s reception. A family was gathered on the stairs, chatting. The patriarch – a man in his 70s with wild grey hair – carried a cello on his back. We’d seen him the night before, the man with the cello. Playing Brahms, Schumann and Schubert, accompanied by his talented children, the youngest a boy of 14. Lots of hotels put on music, and much of it is very good indeed. But there’s something different about the musicians at Schloss Elmau. They don’t sit ignored at a keyboard in the hotel bar. They aren’t beginners, starting out in hope of a bright career, and they’re not washed up, either. They’re the best in the world, and they perform in a magnificent 300-seat concert hall. The cellist with the wild hair was Mischa Maisky, a Soviet-born maestro. The children who played with him were Lily, Sascha and Maximilian. Watching them make music together – for about an hour plus an encore – was a massive treat, combining brilliant craft and expression with an intimacy and exclusivity that no public concert ever matched. We watched it from a window seat. And two days later Maisky performed more formally with an orchestra. Schloss Elmau is set in the foothills of Germany’s highest summit, Zugspitze, 90 minutes from Munich and 45 minutes from Innsbruck. It was built in 1914 by Dr Johannes Mueller, a theologian and philosopher, as a refuge for writers and artists, and more or less ever since then it has staged wonderful musical events. By 1957, it had become best known for chamber music: the legendary Amadeus Quartet, Benjamin Britten, Julian Bream, Yehudi Menuhin and Alfred Brendel are just a few who performed here. 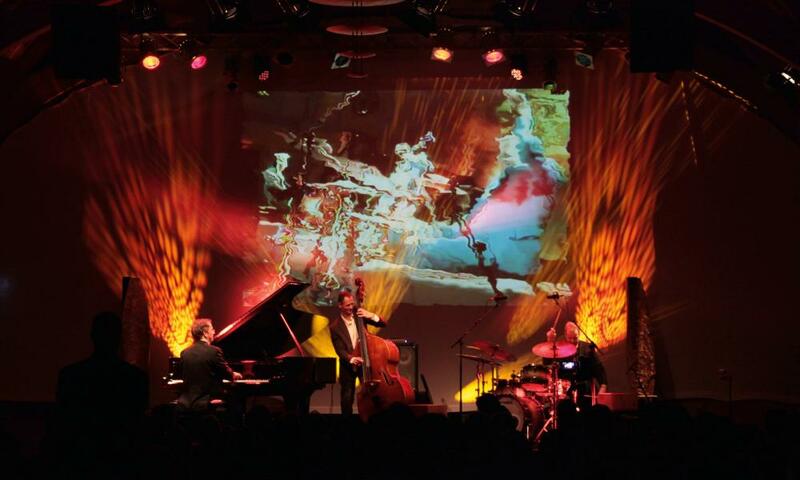 These days, an eclectic mix of world-class classical and jazz performers put on several concerts every week (there are around 220 concerts a year). We arrived marginally too late to hear the great Russian pianist Grigory Sokolov, and the English tenor Ian Bostridge would perform just after we left – singing original songs with American pianist Brad Mehldau (whom he met at the hotel in 2016). But that’s how it goes at Schloss Elmau: the schedule is so stellar that you’re always going to feel you might miss something exciting. Mind you, if I’m honest, I had my doubts in advance about the jazz night. I have a bit of a deaf ear for jazz but even here I was thrilled: four famous European jazz musicians came together, calling themselves “4 Wheel Drive”, to give an unforgettable interpretation of songs by Paul McCartney, Billy Joel and Sting. 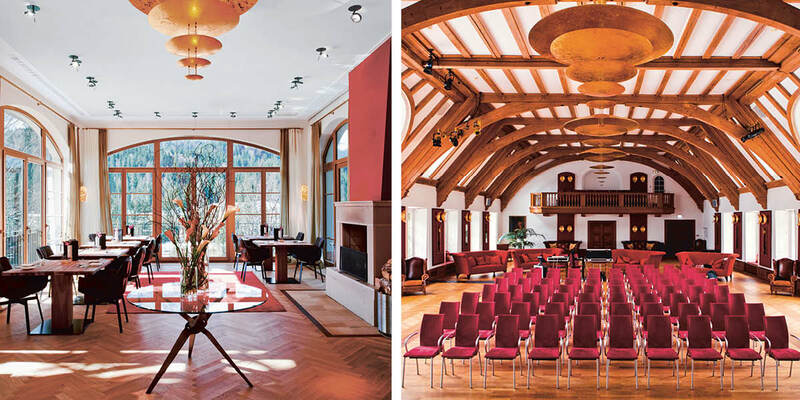 Performing elsewhere, most of the musicians would charge a fortune, but at Schloss Elmau they don’t get any money at all. Instead, they play to stay – visiting the hotel, usually for four or five days, because they love to perform here (and perhaps also quite like the spa and restaurants). For the rest of us, concerts are included in the room rate. And there’s no need to book: just wander up to the concert hall after dinner. The main castle, built by Mueller, was recently remodelled by his grandson, Dietmar Mueller-Elmau, following a fire in 2005. We stayed in the Retreat, the newest addition, an ultra-modern hotel with floor-to-ceiling picture windows which let the clear mountain light stream in. An Asian-style decor and elephant theme runs through the hotel – a nod to Dietmar’s love of the Indian elephant and its connection with wisdom. BBC World News, when we caught a glimpse of it, was full of Brexit, which pointed up the sense that we were staying in one of continental Europe’s cultural high spots. As well as music, there were books everywhere – in German and English. There are peaceful libraries and an enormous bookshop – stocking everything from Tintin to Kant – with leather chairs in cosy nooks and beanbags for the children. This is where Angela Merkel chose to host the 2015 G7 summit. In an idle moment, I checked out the pictures from that time. 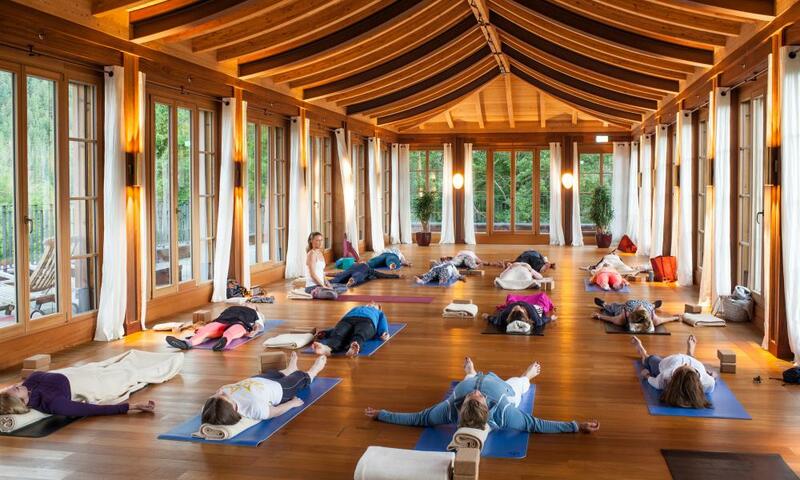 The pictures show smiling Merkel, Obama, Cameron, Hollande, Tusk, Juncker in the room used for yoga. 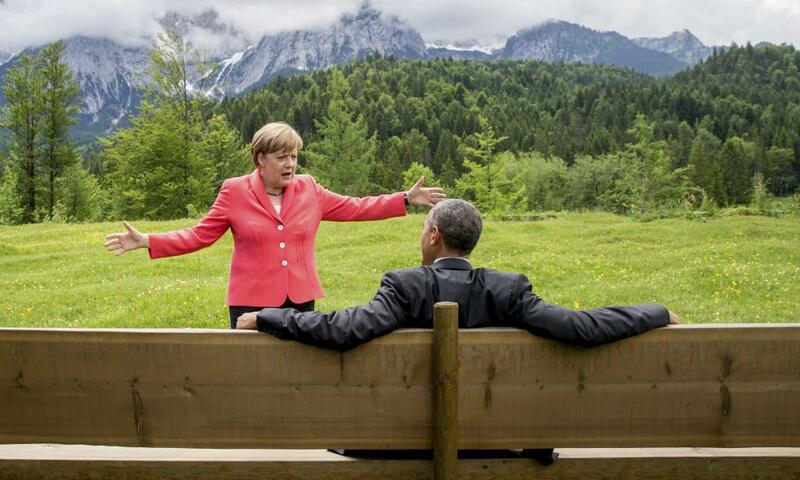 In the grounds, Obama sat on a bench chatting to Merkel, who had her arms outstretched in the now famous Sound of Music picture. An American magazine called this “The Thinking Person’s Wellness Hotel”, and I’m not going to argue. The two spas – one in each of the two adjacent buildings – are so enormous we lost our way every time we visited. 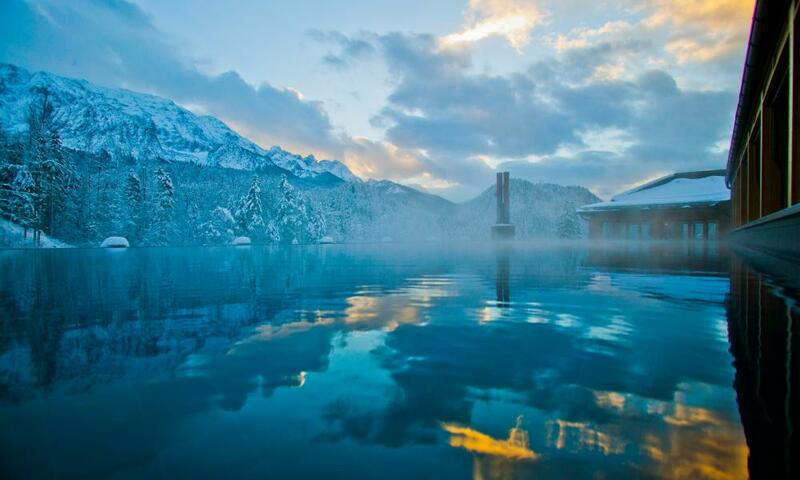 There are outdoor pools with views of the mountains, some with salt water, others with fresh; hot and cold; pools for families and others just for adults – and more saunas and steam rooms (both naked and clothed) than I was able to remember. There’s also an impressive Jivamukti yoga centre running with twice daily classes, pilates, qi gong and a marvellous – if slightly scary – doctor of Chinese medicine, Dr Imke Koenig, who gave me a stern talking to about not relaxing enough. In fact, because I was suffering from a bad cold, she banned me from joining her pilates class, insisting that I spend the rest of my stay resting under cover of a blanket. Which, to be fair, wasn’t an unpleasant prospect. The snow was super-thick when we stayed (the result of dramatic blizzards in January), but the sun was hot and the skies dazzlingly bright. On the balconies and terraces silence was interrupted only by birdsong and the rush of a mountain stream. I’d love to come back, later in the year, and see the meadows in flower. As for food: breakfast is healthy in that classic Alpine way – chunky rye breads and cheese, yogurt and nuts. 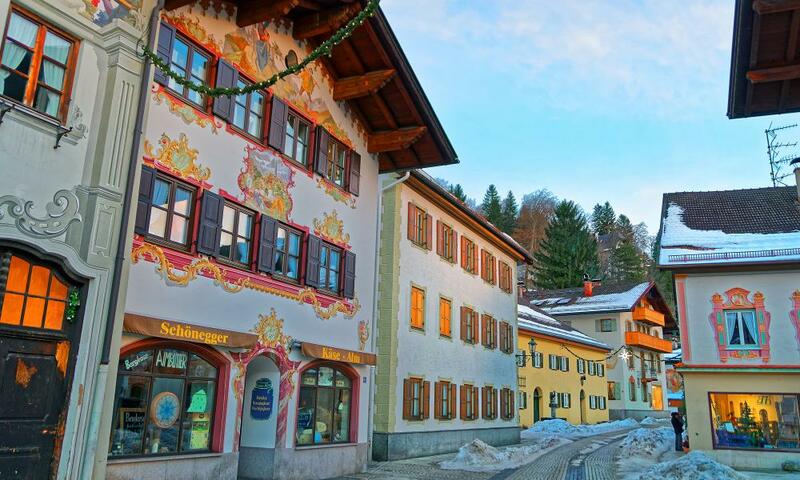 There are a dozen restaurants – an Alpine stubli for fondue, a gourmet Thai, Mediterranean buffets and a Michelin-starred restaurant if you’re so inclined. 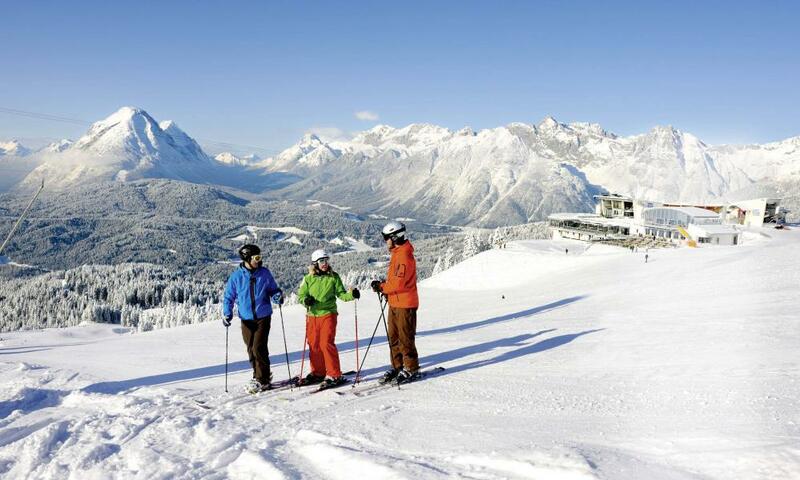 Many guests combine a cultural and spa stay with skiing: there’s a shuttle bus daily to the nearby slopes and a children’s skiing club every morning. My daughter took a brisk cross-country skiing lesson one afternoon on the pristine snow surrounding the hotel. But apart from that we stayed inside. It seems a bit naughty to come to the Alps and never leave the hotel grounds. But there’s simply too much to enjoy here to think about going elsewhere. One afternoon, my daughter and I went for a treatment in the huge hammam. We lay on the heated stone to be scrubbed and cleaned with a scented foam and afterwards, wrapped in fluffy towels as we sipped jasmine tea and nibbled Turkish delight, she said she never wanted to leave. Job done. This historic Taunton hotel has been hosting chamber music weekends for years, attracting British and international ensembles. Recent weekends have seen performances by chamber music royalty the Nash Ensemble, performing the great English composers Britten, Bridge and Elgar, and a lecture by composer and writer Misha Donat. This big old pub in Balham, south London, has been a showcase for new talent since it opened in 1931, including the Clash and, more recently, Ed Sheeran and Sam Smith, who played free-entry gigs in its Club Room. Now, after an extensive refurbishment, it also offers affordable boutique bedrooms. A luxury hotel in the laidback Kreuzberg area of the city, the Orania has an eclectic atmosphere which extends to its concerts. Classical music events take place in the hotel’s salon every Tuesday and Thursday, programmed by pianist Julien Quentin, who has made Kreuzberg his home. Local and international musicians perform a mix of classical and contemporary classical music. You’ll find open turf fires, a private cinema room and pleasingly mismatched interiors reflecting a long and varied history at this traditional hotel on the Antrim coast. Ten minutes’ walk from the Old Bushmills Distillery and four miles from the incredible Giant’s Causeway, it’s a place steeped in history, not least in its bar, which is still lit by gas and hosts traditional Irish music sessions every Saturday night from 8.30pm until late. Describing itself as Europe’s biggest music-making centre, this complex of rehearsal rooms, concert venues and creative hubs has recently expanded to include a hotel. Rooms are homey and simple, with earth tones and plants to reflect an ethos of eco-awareness, while the acts who perform at Q Stage range from Korean hiphop to jazz fusion on any given night.